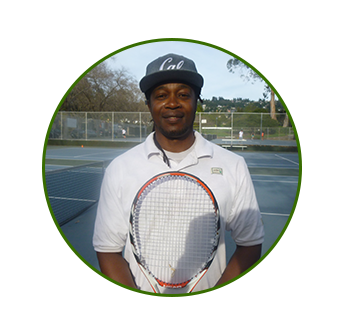 Carlton C. Jones is the head of the Aztec Tennis Club in Berkeley, California. He has developed numerous top level players at the sectional, national, collegiate, and professional levels, and he knows the sport inside and out. Find out more about his expansive background. Carlton was part of the USTA National's High Performance Class of 2000 and 1996, directed by Stan Smith, Nick Saviano, and Jay Berger. He spent seven years with The University of California at Berkeley, and nine as director of a USTA Junior Development Program. 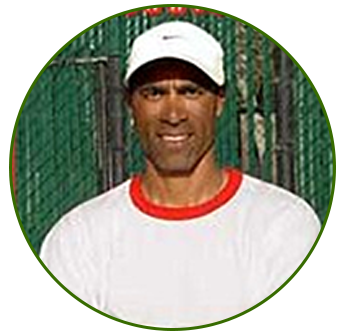 He was a USTA Junior Davis Cup coach in Columbia, South Carolina, and 14S Zonal coach in Pompano Beach, Florida.In addition, Carlton was a national coach for the American Tennis Association, and was Director of the USTA Competitive Training Center . Carlton is a USPTA-certified professional, and he holds a Master's degree in sports management. Carlton has accompanied his juniors to every major tournament in the US, including the prestigious Orange Bowl Internationals, Winter Super Nationals, and the Easter Bowl Spring Super Nationals. Coach PJ, from South Africa, studied sports managment (Durban KZN) and has extensive experience in coaching tennis within schools programs, he has also taught in New Zealand, as well as summer campsin New York and Maryland. Coach PJ has taught within the Aztec Tennis Program as a popular mainstay for 3 years, and is successful among youth as well as adults. Coach Leo has five years experience teaching and mentoring youth in tennis, perpetuating a common vision to nurture the young talent forthe future.originally from New York his past positions include the John Mc Enroe Academy and the New York Junior Tennis ,League. 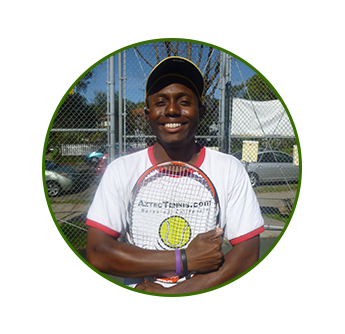 Leo has taught with Aztec Tennis Club for 2 years and is popular among the Juniors as well as adults. 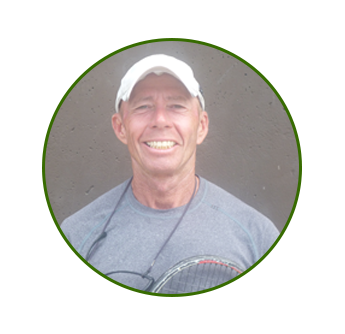 Coach Norm has taught with Aztec Tennis for over 17 years,a popular Junior Clinician, as well as private lesson coach. Norm has taught and developed all ages and levels and is passionate in coaching juniors and young adults.